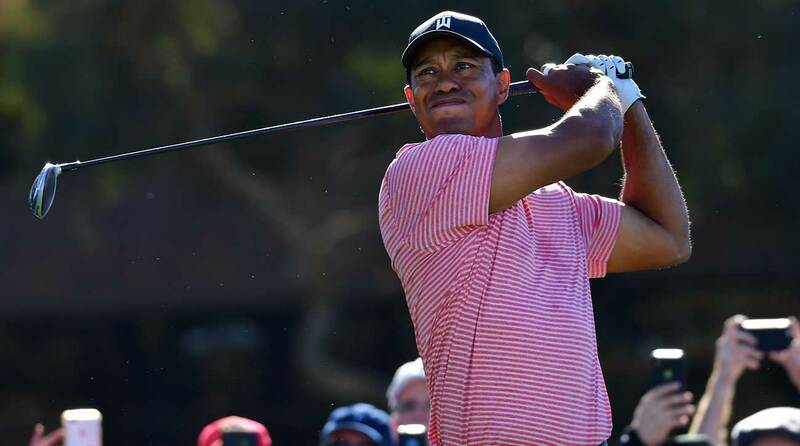 Woods breaks tradition by switching his final-day colours at Farmers Insurance Open. Tiger Woods in final-day red is one of the most predictable scripts in sport. That was until Sunday at the Farmers Insurance Open at Torrey Pines. Woods, who has always worn a red Nike Golf shirt for the final day of a tournament ever since he burst onto the scene in the mid 90s, broke tradition by sporting a light pink shirt. According to Nike, the colour is 'Gym Red', but let's be honest it isn't red, it's pink! Even Tiger himself agreed after the round. "Did you break tradition?" said a reporter, to which Woods replied with a wry smile: "Yeah." Woods might want to wear the shirt some more as he carded his best round of the week with a 5-under 67 to finish the week on 10-under par in tied 20th. World No.1 Justin Rose won the tournament on 21-under par, finishing two strokes clear of Adam Scott.